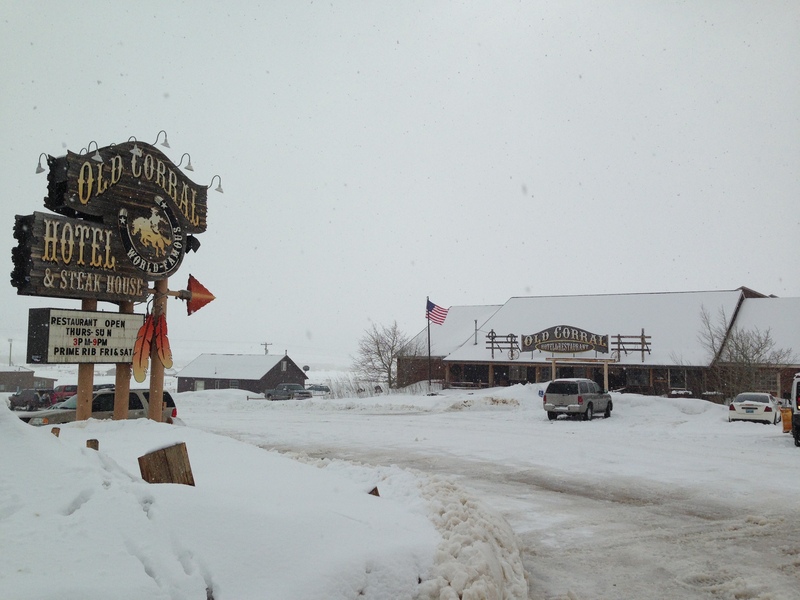 To celebrate the much-awaited end of February in Wyoming, locals and ex-locals convene in the very small town of Centennial one Saturday a year with cross-country skis, snowshoes, dogs without leashes, and backpacks full of beer for the Poker Run. This was the 25th year of the annual event and pretty much the only thing to look forward to during the yucky month of February (except skiing, of course). I am already researching what flowers to plant in front of the house post-defrost. Tulips? Daffodils? Zinnias later? Centennial is about a half hour west of Laramie at the base of the Snowy Range mountains, so we drive through every time we go up to the Snowy Range Ski Area for some wintry recreation. 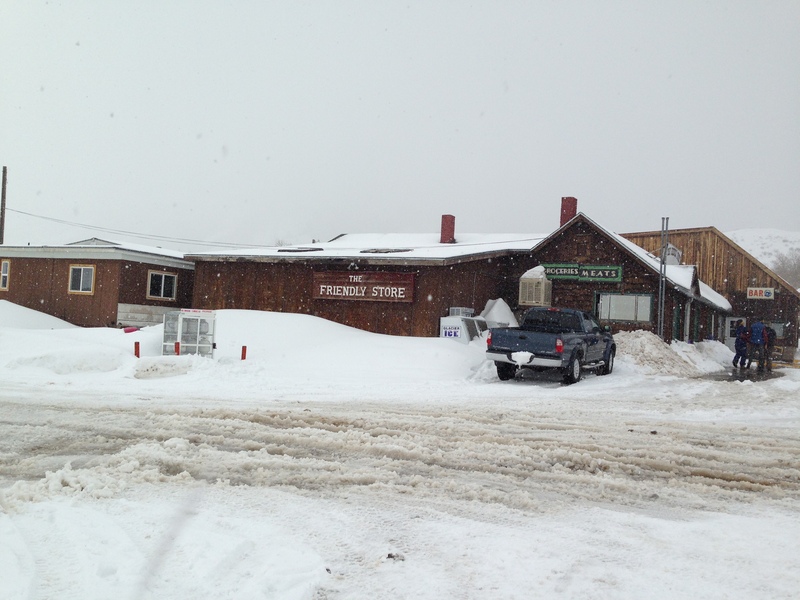 The town consists of a church, an elementary school, a post office, a general store, a convenience store/bar, a couple other restaurants/bars, and a fire station. 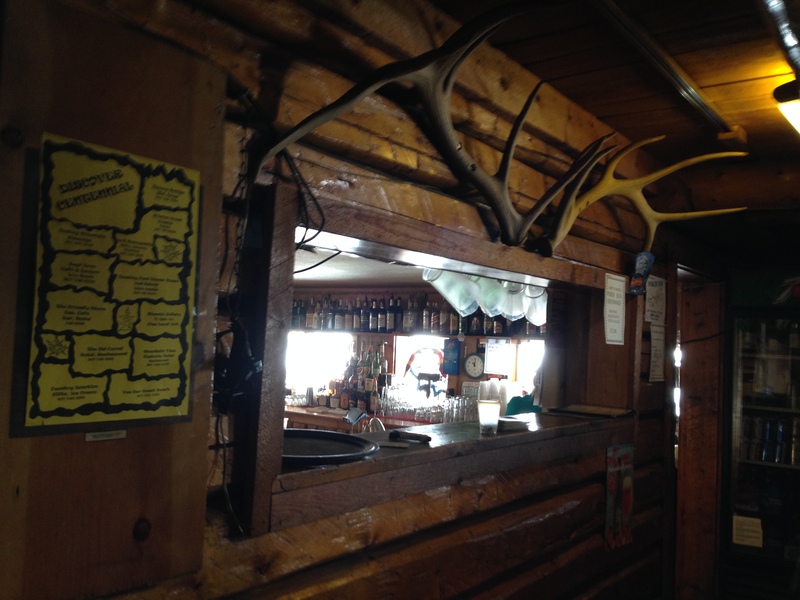 The Poker Run itself is just a crowded, slightly drunken adventure down a cross-country ski trail in Medicine Bow National Forest. 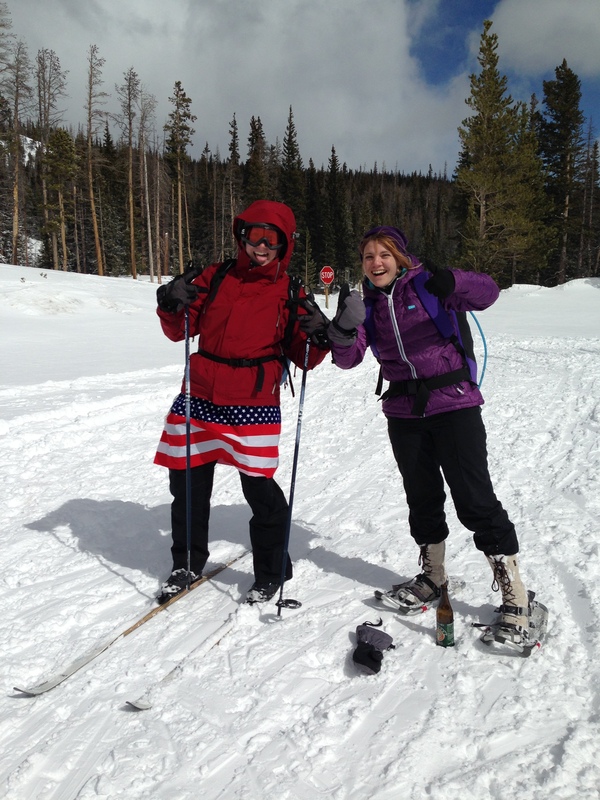 Rowdy, outdoorsy Laramie folks dress up in wacky costumes and attempt to make their way down the trail from the mountains down to Centennial without tripping up on someone else’s skis or running into a tree. Also, there’s some part of the event that actually relates to the card game poker, but that escaped me entirely. Someone promptly asked, “Can we sit in the trunk?” and soon there were twelve of us, plus two dogs, along with all our skis, poles, snowshoes, and backpacks. We slowly made our way up the mountain. At the top of the mountain were snowmobilers, other Poker Run enthusiasts, and a couple of guys drawing their names in a prominent snowbank with their urine. All in all, a classy affair. 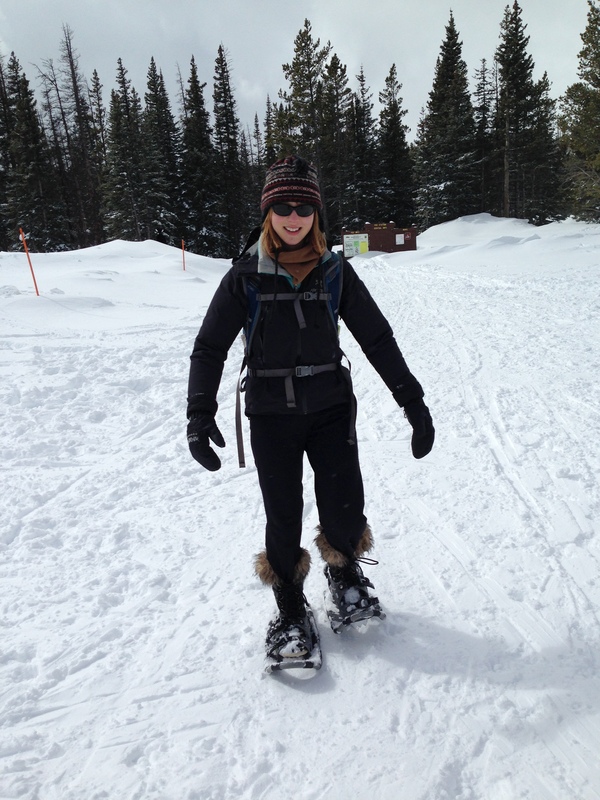 I strapped on my friend Amy’s extra pair of snowshoes and put on my integral mittens. Snowtime. 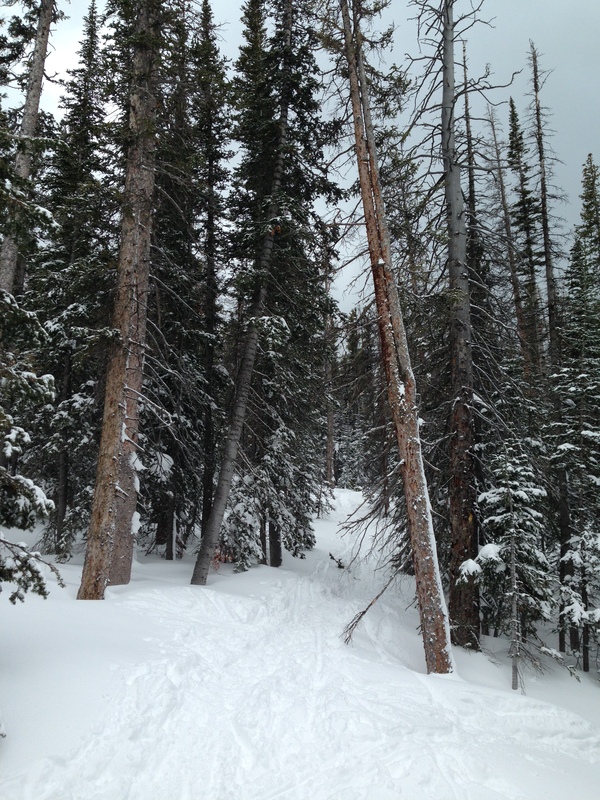 This was my first snowshoeing experience. As Amy (pictured above, on the right, with her gluten-free beer chilling in the snow at her feet) wisely put it, “It’s literally walking, but on snow. It’s just walking.” That said, the only technique recommendations I have are a) not to step on anyone and b) make sure your straps are tight enough that they don’t continually fall off your boots. Oh, and c) wear boots with faux fur for an extra dose of fun. We ran into a lot of people I recognized, and many more I didn’t. I even came across Kyle and Tallie’s pal Ray, who graduated from the University of Wyoming but is now living in Utah. 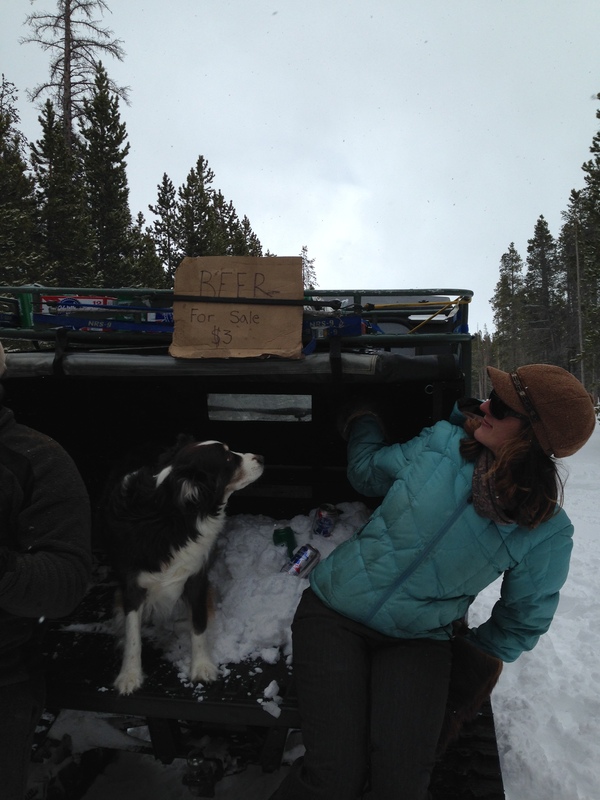 Halfway through the course a woman was selling beer off the back of her snowmobile to thirsty participants. We passed by some snow-muffled cabins that were, incredibly, chugging out smoke from their chimneys. So much snow! It seemed like a scene out of Narnia. It intermittently snowed and shone sun all afternoon. At one point, we came upon a dwindling bonfire just as they ran out of hotdogs. I’ve never before seen a fire in the midst of so much snow. Some of the surrounding snow was stained black from smoke and ash. Now I know what my friend Kevin meant when, after I went skiing for the first time, he asked how much snow I’d gotten in my pants. Rolling around in powder after literally crashing into it will do that to you. Miraculously I didn’t lose any skis or poles or mittens (a “yard sale,” as the ski bums call it), but I am glad I wear a helmet, as always! Fun & safe adventures to you all. That’s it! 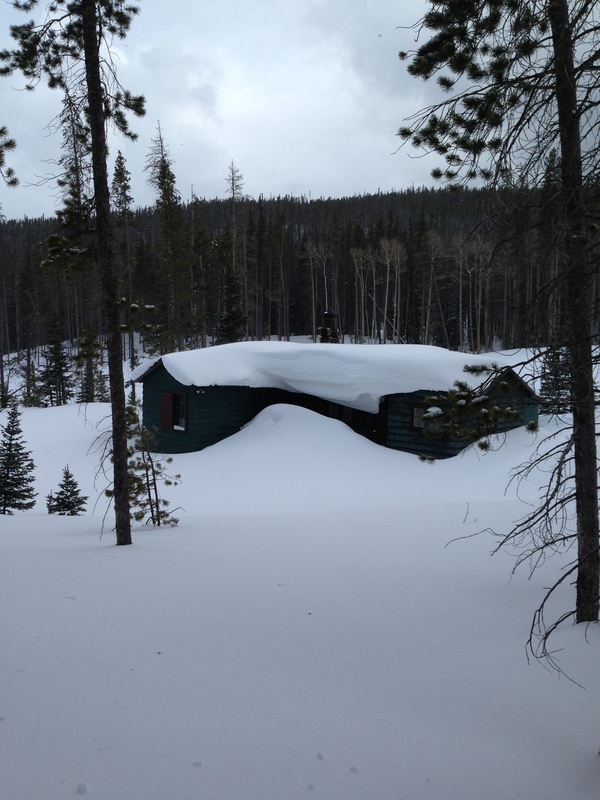 I must visit in winter … I find the snow-to-your-neck cabin in the woods especially appealing. 🙂 I also find the fact that you always wear your ski helmet very comforting. Good girl!